Find list of over 250 plus Slot Machine games to play for fun or real money via our recommended UK Slot casino sites using mobile app or desktop. Among all the gambling games you get to play at online casinos, probably the most popular are the slots. These are games that do not require any special skills; a good dose of Lady Luck can work wonders. They go by different names in different countries – pokies in Australia, fruit machine in the UK, and also one-armed bandits. The games come with amazing graphics and animations, which make them fun to look at, and superb features that make the entire experience an exciting and enriching one. While there are a number of gambling games that have been around for centuries now and are therefore to trace back to accurately, this is not the case with slots. Slots are quite young compared to the rest of the games available; the first slot was invented only towards the end of the 19th century. It was in 1891 that Sittman and Pitt invented what was the forefather of the current day slot machine in Brooklyn, New York. Sittman and Pitt’s machine played a game based on poker and had 50 card faces loaded on 5 drums. You put in a nickel and pulled a lever to spin the drums. Your win depended on the hand you got and what the joint it was in had in mind: it could be free cigars, or a beer, or anything else. The first official slot machine was the Liberty Bell invented by Charles Fey sometime between 1887 and 1895. The first fully electromechanical slot machine was developed by Bally in 1963. This was the game Money Honey and it was able to make automatic payouts of up to 500 coins. The first video slot was seen in Kearny Mesa, California, sometime in 1976. It was developed by Fortune Coin Co. of Las Vegas. With the arrival of the video slot slots shed the mechanical lever and the games became highly popular because of the fun and large rewards they had the potential of throwing up for a lucky player. The arrival of the Internet led to the birth of the online casino industry and it was only natural for this industry to take slots from being machines available at drugstores and casinos alike to a game that anyone could play right from their homes as long as they had a computer and an Internet connection. The simplicity involved in playing this game and the bright colors and cool features have made slots the most popular of all casino games. Online casinos offer a great diversity of slot games that is far more substantial than land-based casinos. Every game features its own unique characteristics, and some slot games go hand in hand with life-changing jackpots, while others offer a selection of special features such as multipliers and bonus rounds whenever a player successfully triggers a specific symbol combination on the reels. With the rapid growth of the internet during the mid-90’s, it paved the way for the creation of the first online casinos. In the beginning, only classic casino games, such as blackjack and roulette were made available, but shortly thereafter added slots. As with land-based casinos, slot games quickly grew in popularity over traditional casino games, providing the bulk of the online casinos’ game portfolio. At the start, the style of the slot games remained very similar to the slot machines found in land-based casinos, with the same type of symbols and the same number of reels. However, restrictions were removed by computer programming, allowing new types of games to emerge, with unusual structures and layouts along with interesting themes. Nowadays, online slots offer unconventional layouts with more than five reels. You will also find an endless list of different symbols, a wide variety of themes, along with imaginative and innovative special game features and bonus rounds. The number of game portfolios from different slot developers have increased drastically year after year. While there is a rather limited amount of land-based fruit machine manufacturers, there are well over 100 different slot developers in the online gaming industry. While there are several small development companies providing a minimal selection of slot games, there are industry giants offering an enormous choice. Microgaming, for example, is considered the oldest iGaming software provider in the world with a slot collection exceeding 600 different titles. The overall estimate is that there are well over 2,000 different slots online across all companies. The incredible sound effects, animations, and graphics further enhance the entertainment value and enriches the convenience of playing online while providing the added benefit of being in the comfort of your home. Slot games can be divided into several simplistic categories ranging from traditional slot games to lucrative progressive jackpot slots, and understanding each unique category will help you to identify those that hold the most promise and entertainment value for you. Sign up with the online casino. Choose the slot they want to play. Slots come with a single payline or multiple paylines. Most of the video slots available at online casinos, as well as classic slots, have multiple paylines – fixed or adjustable. There are games with over 100 paylines today. The paylines have a significant impact on a player’s fortune at the casino. They can impact a player’s bankroll. They can determine the amount a player wins on a winning spin: the more paylines you play the more you stand to win based on your original wager. They enable you to freeze on your betting strategy: bet low across all the paylines or bet high on a few, for instance. There is a great deal of power playing real money slots, and if new to online play, you quickly will see how that statement rings true. When you play online, the most important factor that provide power is the higher payout percentage online slots provide. While you can go to your local casino and enjoy a range of slots, there amount you win on average will be far less than that won online. Real money slots allow you a greater game choice and flexibility. This is due to each game having a wider range of game features and betting options. The need to wonder and look for a machine that fits your gaming budget is removed from the equation and you are able to sleect any slot you like for real money play and wager an amount that you are comfortable with. That in itself gives you a larger amount of power in choice, range and winnings. 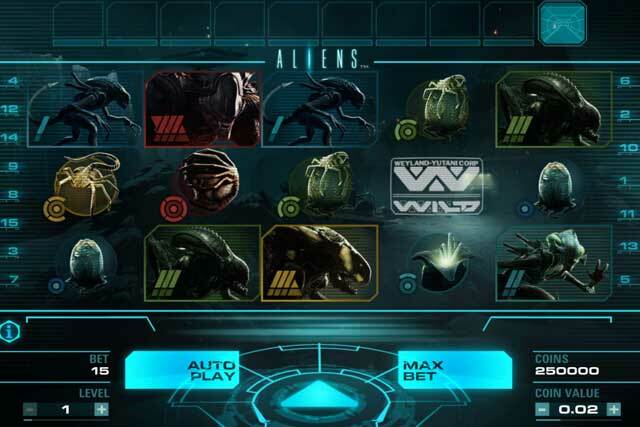 Remember, online slots, much like their land-based counterparts each have their unique variance, choose one that fits into your style of play, as real money slots will allow you the option to play low variance, medium variance and high variance. Players who prefer simplicity over complexity should consider playing classic or traditional slot games. Classic slot games are the closest to the original slot machines initially introduced to land-based casinos. These contain three reels and in most cases, only feature three reels and one horizontal pay line across the reels. However, there are 3-reel classic slots available online that feature even bigger pay line structures. 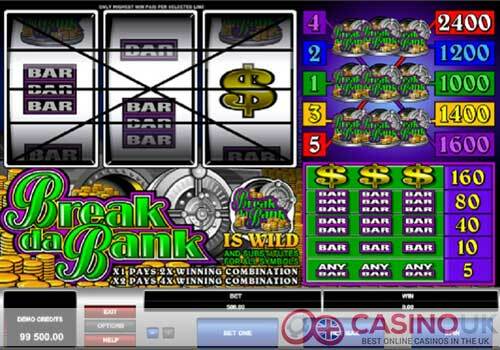 For example, the classic Break Da Bank slot from Microgaming featuring three reels with five pay lines, or the Chinese Kitchen classic slot from Playtech featuring three reels with an impressive eight pay lines. Classic slots often utilize fruits such as oranges, lemons, and cherries as symbols presented on the reels while others incorporate bells, lucky sevens, and bars as symbols. This simplistic slot variety normally lacks extra features, such as multipliers or free spins, but on rare occasions, you will find a selection of classic slot games that feature scatter and wild symbols and even a bonus round. When we talk of the classic slots at an online casino, these are the slots that have been designed to look like the slot machines from the early days of slots gambling. They have 3 reels with a limited number of symbols. The symbols are also generally traditional and include fruits, the number 7, the word BAR, and so on. The pay tables for classic slots are quite straightforward; there are no frills. All you do is place your wager and hit Spin. You get paid if you land a winning combination. Slots containing multiple pay lines will be presented with more than three reels. Although this slot variety provides greater entertainment value, they are far more complicated and normally confuses inexperienced slot players. The number of pay lines ranges between 9 and 100 and not only runs horizontally across the reels, but can also be diagonal, vertical, V-shaped, or zigzagging. Slots featuring multiple pay lines creates the possibility for more than one combination win to appear simultaneously. 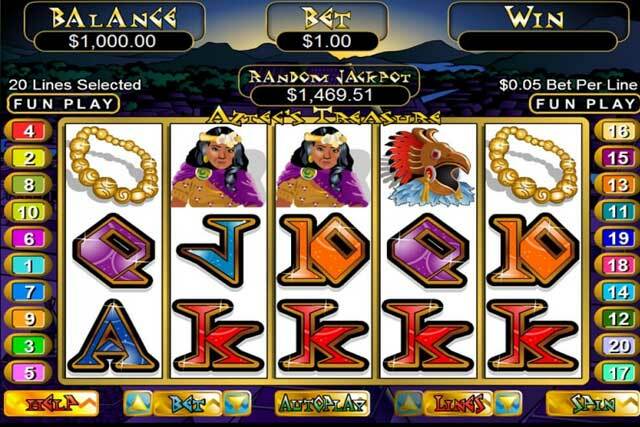 There is also a much larger range of symbols available in this slot variety, typically relating to the theme and story of the slot game. The number of betting choices is also far greater in multiple pay line slots, as players normally have the option to choose the number of pay lines they wish to activate. The minimum coin value is normally set around £0.01 in most cases while the maximum coin value rarely exceeds £1.00 on an active pay line. Slots featuring multiple pay lines are best suited for both daring and risk-averse players. If your budget is rather tight, it is recommended to spread your total bet across all available pay lines instead of wagering a large amount of a limited amount of pay lines. This will not only increase your chances of winning but will also add extra excitement to your gameplay experience. 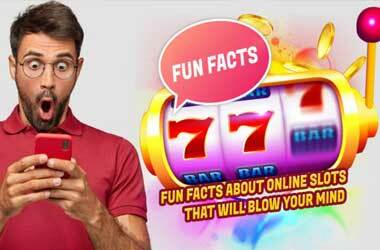 Slots containing special features and bonus games are exceedingly popular among slot fans. This variety of slots typically incorporates a bonus game being activated by specific symbols or a combination of specific symbols anywhere in view or on an active pay line. The bonus game normally provides an additional storyline relating to the theme of the game. Players are often required to perform an action when the bonus game is triggered. 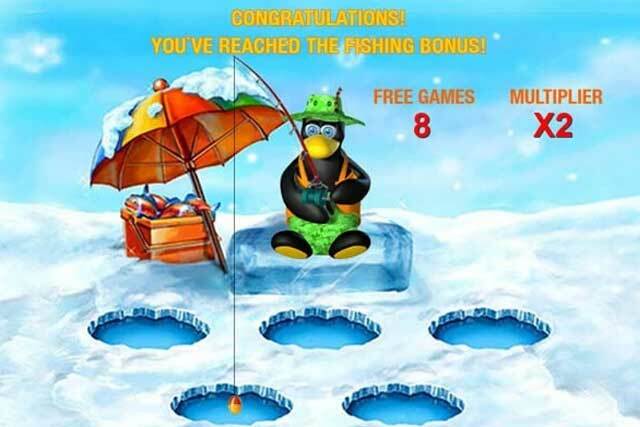 This can range from choosing between several objects to collecting a certain amount of points where an additional prize is awarded at the end of the bonus game. In addition, some bonus games allow players to pick one of numerous treasure chest where each chest corresponds with a specific jackpot prize. But special symbols do not always unlock a bonus game. Some special symbols can also activate a predetermined free spin feature. Most modern slot games also make it possible to re-trigger a bonus game or free spin feature which is tremendously popular among slot enthusiasts as it often results in a more substantial win. For instance, a free spin feature can be re-triggered by displaying the same bonus symbols, during the free spins round, that activated the free spin feature in the first place. Bonus slots also incorporate other useful features including wild symbols, scatters, and multipliers that significantly increase the chances of turning a much bigger profit. Wild symbols usually stand in for a missing symbol to complete a winning combination and scatter symbols normally activate a free spin feature or bonus game when a specific amount is displayed. There are a few leading software developers, such as Betsoft, that have introduced stunning 3D slots into their game portfolios containing intriguing features, enhanced sound effects, fantastic animations, and superb graphics. However, 3D slot games require a decent internet connection speed to truly enjoy all the brilliant features. Players will also be captivated by complex storylines that will require unlocking various levels to progress to the next round of the game. For instance, the Aliens 3D slot game from Net Entertainment gives you the opportunity to complete numerous levels including the Hive, the Encounter, and the Search. Like most video slots, 3D slot games burst at the seams with a range of excellent features. This can include multipliers, scatter symbols, wild symbols, free spins, and bonus rounds designed to further enhance your gaming experience, making it far more rewarding as well. Many of them are theme-based, while there are some general games as well. Most of them have a minimum of 5 paylines; the maximum is over 100. The paylines could be either fixed or adjustable. There are also some games with no paylines; the approach is called ‘Ways to Win’ or ‘All Pays’. The standard number of ways to win is 243; you find a lot of games offering you ‘243 ways to win’. There are also games offering 1024 ways to win. The symbols are arranged in 3 rows across the screens; in some games they are arranged in 4 rows. All games come with exciting features like free spins and bonus games. 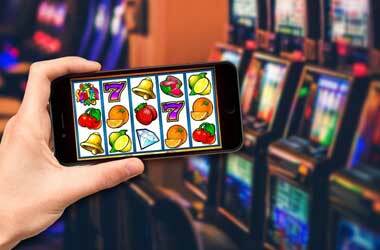 They are all very popular; that is why most of the slots – which themselves for a significantly large percentage of a software provider’s game range – are video slots. Another kind of online slots you get are the flat top slots. These are slots that come with a fixed jackpot attached to them. You hit the biggest winning combination and get a fixed prize as a jackpot. The prize money or reward is not usually as high as that in a progressive jackpot. As the name suggests, these slots are linked to an enormous progressive jackpot, growing incrementally with every bet made by a player. A small percentage of each bet goes towards the overall progressive jackpot, and when one player claims the life-changing jackpot prize, the jackpot starts accumulating again from a predetermined amount known as the seed. Some progressive jackpots are only linked to an individual slot featured at a single online casino while others are shared between several online casino operators utilizing the same developer software. However, players need to keep in mind that progressive jackpot slots offer far fewer wins during the base game as it needs to balance out the potential of someone winning the progressive jackpot prize. All progressive jackpot slots share a mutual feature known as a jackpot meter, allowing players to view and keep track of the accumulated sum at any given time. This is rather useful as players can join the game when the jackpot meter escalates to a high jackpot amount. Furthermore, before deciding to try progressive jackpot slots, you will need to wager the maximum amount to qualify for the jackpot prize. If you bet a smaller amount and hit the required combination, your overall payout will be much smaller. Progressive slots can be either 3-reel classic slots or video slots. They are online slots with a progressive jackpot attached to them. A small percentage of each wager is put aside and added to the jackpot; that is how it keeps growing. The jackpot keeps increasing over time till someone lands it; only then is it reset to the base level. Standalone progressive jackpot slots: This is a progressive jackpot that is unique to a single slot game in a casino. The prize money for these is quite large. Local area network progressive jackpots: These are progressive slots where the jackpot is spread across different machines or games in a casino. The size of the jackpot, therefore, increases exponentially. Wide area network progressive jackpots: These are progressive slots where the jackpots are linked to games across multiple casinos. The number of players contributing to these jackpots is huge compared to the other jackpots we have discussed earlier. That is why the prize money is also proportionately higher for these progressive slot games. There are quite a few differences between online and land-based or offline slots. You can play online slots from the cozy comfort of your home. You have to visit a land-based casino to play the slots it offers. The number of online slots you get at an online casino is much larger than what you would get at a land-based casino. You can play multiple slots at the same time when it comes to an online casino; this is impossible at a land-based casino. You can play the games in free play mode at an online casino; this mode of play is not available at a land-based casino; it is real-money play only there. The range of bonuses available at online casinos is far more than what you get at a land-based casino. Payouts take a while at an online casino; however, at a land-based casino they are instant; all you have to do is take your chips and cash out. The appeal of online slots lies in the fact that you can win at any time. It only takes a real money wager, and a simple click of a button and a huge jackpot prize could potentially be yours to claim. Behind the scenes, slot games are anything but simple. The computerized technological innovations featured in a slot machine are some of the most advanced technology in the online gaming industry. One aspect of slot games that the unassuming player cannot see from the outside is, of course, the concept of a random number generator. This highly complex software program randomizes every outcome, ensuring every spin generates a different result that is completely independent of the previous spin in every single way. To simulate randomness as a man-made creation sounds like an insuperable challenge, but the leading gaming developers and software providers have perfected this. There are several crucial factors that need to be considered before venturing into a slot session at an online casino. The first point to understand is that each time you set the reels in motion, a random outcome will result, and the second is that your payout will always be less than your chances of winning on a slot game. In fact, slot games are designed to provide the casino with a long-term edge, but incredible things can happen for players in the short-term. Therefore, your first objective is to locate a slot game with the highest return to player percentage that is as close to 100% as possible. Fortunately, the payout percentages offered on slot games from leading online casinos average in the region of 92% and 96%. This is substantially higher than the return to player percentages offered at land-based casinos as they have to factor in numerous additional cost elements into their equations. Casino players find it very difficult to understand the concept of randomness since the appeal of a casino game is deeply rooted with the feeling of good fortune while they are playing. Some might believe that tomorrow will be their lucky day, while others might be under the impression that today is a good day to visit the casino. It’s not wrong to think this way, but players tend to forget that slot games are governed by algorithms, ensuring randomness, credibility, and fairness of all outcomes. If you are under the impression that casinos have the power to flout the random number generator component of slot games, you may wish to think again. Every certified casino operating online is bound by the gambling authorities strict regulatory code. Therefore they have no option but to comply with random number generator fairness, independent testing standards (TST), and the rules of authorities such as the New Jersey Department of Gaming Enforcement, the UK Gambling Commission, Gibraltar, Malta Gaming Authority, and many other regulatory authorities across the globe. Random number generators are highly complex mechanisms that operate even when you not sitting in front of your computer. They are continuously selecting combinations of numbers at random, providing different combinations of outcomes that are calculated by the random number generator even while you are playing. The more time delay there is in between spins; the more calculations will be completed by the RNG. Playing online slots is quite easy. Here are a few steps that, if done in the right sequence, can assure you of a hassle-free slot gaming experience. Read up the pay table for the game so you know what each winning combination potentially pays out. Read up on the free spins and other bonus features or rounds if any. That way you do not get caught wrong-footed when you land one of those rounds during the course of play. Choose the coin size for your wager. There are different buttons that can help you take a short cut to choosing your coin size. Bet One: This bets one coin for you. Bet Max: This gives you the maximum bet you can place across lines. Coins per Line: Some games allow you to place more than a single coin per line. This directly impacts your bet size. Hit the Spin button. Once the Spin button stops check out how much you have won. The amount gets added to your casino credits or casino balance. Some online slots, especially the ones from Microgaming, come with the Gamble button. This button gets activated at the end of a winning hand. You can click this button if you want to double your winnings. However, losing when you use this feature causes all your winnings from that specific hand to be lost. You can choose not to use the Gamble feature, or use it at your convenience. Unlike card and table games, slots don’t require any real skill, and there’s not a system that can be utilized to guarantee success. There are, however, several tips and strategies that you should consider following, especially when playing slots. 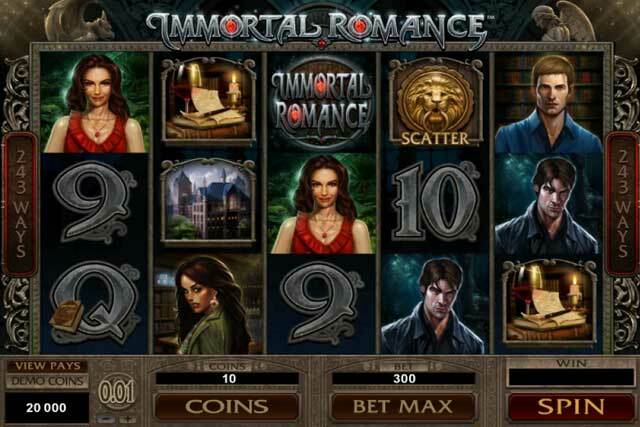 Choose the correct slot game: One crucial element that slot fans often overlook is the variance of a slot game. Simply put, the variance describes how much and how often a particular slot game pays out. Size and win frequency can both vary immensely, and the number of combinations are infinite between the two. However, to keep things simple, each slot can be described as either being High, Medium, or Low variance. A High variance slot will award large wins, but payouts are far less frequent. A Medium variance slot will provide a decent number of small wins, but can also large wins. A Low variance slot is designed to pay out every few spins, but the amount won is rather small. Choosing a slot is entirely dependent on your own unique playing style. Do you practice patience with a decent bankroll, waiting for a big payoff, or do you require the reassurance of frequent, small wins, knowing you won’t lose a large amount? Most players completely miss out on the excitement of slots, purely because they do not understand the effects that variance has on the overall gameplay. Take advantage of bonus offers: Online casinos are extremely generous with bonus offers when it comes to slots. They will provide high percentage match offers along with low wagering requirements as they are well aware that the chances of hitting a massive payout is small enough to take the risk. Anyone who enjoys playing slots should claim as much bonus offers as possible. Although the chances are small that you will walk away with a decent amount of cash, you will be giving yourself more advantages with more spending money to win hopefully. Calculate your spending money: Before every slot session, you will need to decide how long you would like to play, what amount you can afford to lose, and if all goes well, at which point will you stop once you won enough to end the slot session. Once you’ve decided on all these factors, you can calculate the amount you need to spend on every spin. Basically, you need to take your bankroll and divide it with your bet, giving you a number of spins per gaming session, equalling an amount of time. When everything is turning out well, it’s rather easy to stick to a plan, but things will get more difficult when you start to lose or win. Avoid chasing losses: The first golden rule is do not wager good money after bad. Chasing losses is an extremely strong temptation that is known throughout the online gaming community as gambling fever. It takes a lot of discipline to stick to your betting calculation plan when you are losing. There will always be a little voice saying, ‘just one more spin’ in the back of your head and the little voice might be right. But it often happens that the next spin won’t generate a win either just like the last 100 spins you initiated. It takes discipline to quit at this point. But it’s actually rather simple: if you continue to place bets until your entire bankroll is depleted, you lose! Avoid spending your winnings: The second golden rule is quit while you are ahead. If you win on your initial spin, the urge to bet again will be very strong, thinking that you must be bound for another win. But this means you will be gambling with your winnings and online casino’s needs and wants you to do exactly that. Each slot game consists of a house edge. The house edge is the amount of money an online casino expects to win over an extended period of time. There’s, unfortunately, no escaping the fact that the casino will always win in the long term and, if you wager long enough, the probabilities will eventually catch up with you. Part of your betting calculations was to create a win limit and being an overall winner will require discipline to stick to your calculations. Prior to spinning the reels of any slot you are about to play, you must know what the game offers. This includes the amount paid for symbol combinations and the bonus features that are offered. This will allow you to understand in advance of what you can expect from that particular slot and what its potential for big wins is. It is also important to understand that not all symbol combinations are equal and that some are much harder to get than others. It will also help you understand the variance of the slot. As almost all slots will have default amount each slot is set to per spin, it is critical that you do not jump right in and spin the reels as you could be betting far more than you are comfortable with. This amount can be adjusted and decreased or increased to suit your budget or preference. If you are a new slot play, it is ideal to select the lowest amount per spin until you become comfortable with playing online slots. Bear in mind, each slot is different and so to will the amounts you can bet. These can range from £0.10 to £5,000 per spin, and each slot will have a minimum and maximum amount per spin you can wager, so you can easily see how this is something you need to be aware of. Selecting paylines is a simple process. While most of the today’s slots will have multiple paylines, they will also allow you the option to play as few as one or activate all paylines. In the game control section, a button that identifies “paylines” will be seen, Clicking this will adjust the number of active paylines and will further identify the cost per spin prior to spinning the reels. Payout tables identify the amount you can win when symbol combinations appear on the reels and bonus features that can be triggered on the reels or as a bonus game. The paytable will include the amount you can win for 3, 4 and five symbol combinations. After viewing the paytable, you can then decide on your playing strategy and if this slot is ideal for you. 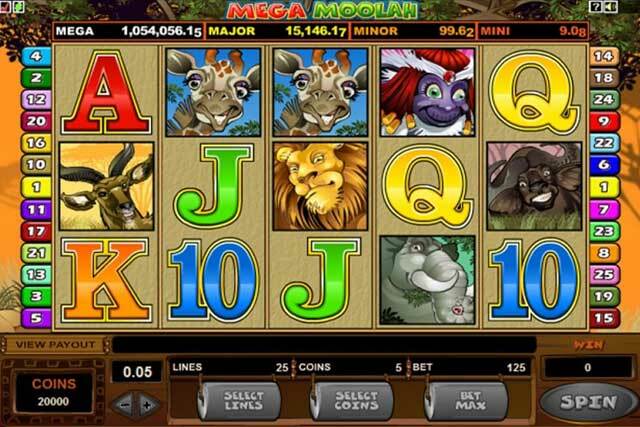 Did you know – Microgaming Mega Moolah progressive slot has awarded over 1,260 jackpots? One thing you do not have to worry about when you are looking to play slots at an online casino is the security and fairness of it all. All the recognized casinos offer a completely secure and fair gaming experience, be it for slots or any of the other games available. All recognized online casinos use a random number generator (RNG) to ensure the results that appear at the end of a spin are totally random. The random number generators are usually certified by independent third party testing and certification agencies like eCOGRA and Technical Systems Testing (TST), which is now part of Gaming Labs International (GLI). There are also other bodies that test and validate casinos for their randomness and fair play, including organizations like Casinomeister. Yes! Most casinos will allow you to register a “Fun Play” account that will let you play slots for free and get a feel for what to expect when you play for real money. You will not have to deposit real money to do play slots for free and will be able to play all slots offered with the exception being progressive slots. However, playing for real money is a great opportunity to win big online due to the high payout percentage online slots offer. First and foremost, reputable software. Selecting to play slots that are powered by licensed, regulated and reputable software companies assures that you are playing trustable slots. The next thing to look for is those that offer high payout percentages and to make sure you are playing a slot that offers a variance that you are comfortable playing. If you are the type of player who likes to experience a large number of wins, consider slots that are low variance, if you prefer a combination of frequent wins with a range of payouts then consider medium variance, and for those who want to chase the big wins, high variance. 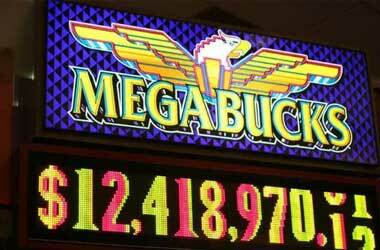 A progressive jackpot is a slot that offers a pooled jackpot. These can be found in two styles, a standalone progressive, and network progressive. A standalone progressive is one whose jackpot is only offered on that machine and is not joined by any other slots. A network progressive is part of a large network that builds its jackpot and will be found at hundreds of online casinos offering the software powering the progressive slot. Yes, 100%. 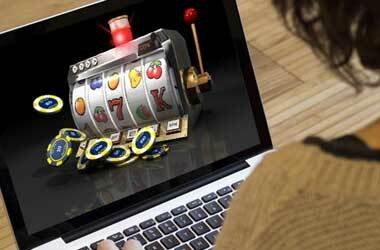 Online slots are a game of chance, and most players will experience a range of wins, from small to medium and large. Are online slots casinos trustworthy? Yes. Online casinos invest substantial money to purchase and license the software that powers their games. They are also regulated by leading licensed bodies such as the United Kingdom Gaming Commission and are responsible for testing their games to ensure results are random, secure and safe. It is recommended to use sites such as ours and read our casino reviews to ensure the casinos you play at are reputable. Online casino bonuses are most commonly awarded when you make your first deposit with a casino. A bonus will add a certain amount in the form of a percentage of the amount you initially deposit. As the bonus monies are being given as a bonus, they will include certain terms and conditions that will relate to the amount you must wager your deposit and bonus, and the maximum amount you may bet on any spin of a slot. The most valued bonuses are those that offer a large bonus with wagering terms that are 5-8x.